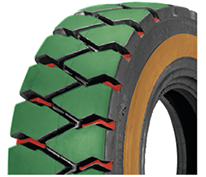 Thanks to many years of dedicated research and testings, Ecomega’s experts have engineered a new set of Ecomega PREMIUM tyres for industrial use. Always at the forefront of the latest developments in the field, Ecomega has combined the best knowledge and the latest technologies in order to ensure highest performance of industrial vehicles around the world. Ecomega PREMIUM tyres guarantee exceptional performance, maximum stability and reliability at anytime and anywhere, even while operating under the most challenging environmental conditions. Ecomega PREMIUM tyres are the most reliable choice on the international market if you are looking for an innovative and safe set of tyres for industrial use. Ecomega PREMIUM tyres for industrial vehicles feature wide square tread profile that guarantees maximum stability, even while operating on the most difficult types of surfaces. Massive tread blocks of Ecomega PREMIUM tyre for industrial vehicles ensure longer tread life and higher resistance to wearing over time. On top of that, Ecomega PREMIUM tyres for industrial vehicles feature reinforced and wide sidewalls that ensure higher resistance to all sorts of accidental damages, cuts or ruptures, even while operating under the most challenging conditions. 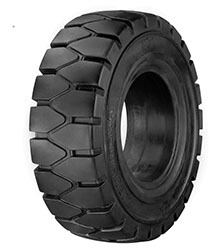 Ecomeg PREMIUM tyres for industrial use are now thicker and more reliable than ever before. Ecomega PREMIUM tyres for industrial vehicles guarantee maximum comfort for the operator, at anytime and anywhere, thanks to the efficient absorption of all sorts of noises and vibrations that may occur during industrial operations. If you are looking for an exceptional set of tyres for industrial use, then Ecomega PREMIUM tyres are the best choice for your operations. Thanks to their improved design and the use of the latest technologies, Ecomega PREMIUM tyres guarantee exceptional performance, maximum stability and reliability, at anytime and anywhere. With Ecomega PREMIUM tyres, you are in safe and reliable hands during your industrial operations. O.V. O.V. LD. W ST.W. LD. W ST.W.